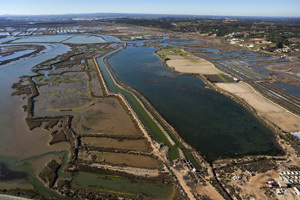 Picture of Atlantic fish farms and salt marshes. — The FDA is treating transgenic animals as new drug applications, which means much of the agency’s deliberation are conducted in secret. Despite some 400,000 public comments opposing genetically engineered (GE) salmon, the Food and Drug Administration (FDA) announced on December 26, 2012, that it is prepared to give transgenic salmon its final stamp of approval. The FDA issued a positive environmental assessment and a preliminary “finding of no significant impact.” The public comment period closes on February 25, 2013. AquaBounty Technologies, a U.S. company, has spent 17 years and more than $60 million creating and marketing GE Atlantic salmon. This would be the very first GE animal food sold for human consumption. The fish, called AquaAdvantage® salmon, reach maturity twice as fast — 18 months instead of 36 months — and grow twice as large as natural Atlantic salmon. AquaBounty scientists inserted a growth-hormone gene from Chinook salmon and also a gene from the ocean pout (blenny-like or eel-like in form) that activates the growth hormone. Thus AquaAdvantage Atlantic salmon are genetically engineered to produce growth hormones year-round, instead of only in warm weather months as normal salmon do. This new creation comes with two promises: (1) GE salmon are sterile and will be raised exclusively in shore-based, closed containment tanks, and (2) GE salmon will reduce the stress on the wild stock because they eat at least one-third less feed than conventional farmed salmon do to reach harvest weight. 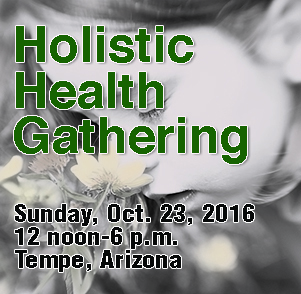 Consumers Union senior scientist Michael Hansen testified to the FDA in 2010 about serious flaws in the few safety studies. Just six fish were used in the company’s studies on the potential of the GE fish to cause an allergic reaction. The studied GE fish were found to be 19 percent more allergenic than non-GE fish in the control group. Dr. Anne Kapuscinski, a professor of environmental studies at Dartmouth College, specializes in environmental risk assessment in aquaculture systems. She found the FDA’s process lacking. Wenonah Hauter, Executive Director of Food & Water Watch, pointed out that it appears unlikely the GE salmon will be labeled as such. More than 40 members of Congress and scientists at other federal agencies, including the National Oceanic and Atmospheric Administration and the U.S. Fish and Wildlife Service, have also voiced strong opposition to GE salmon, citing the lack of transparency, scientific rigor and expertise at the FDA. The FDA is treating transgenic animals as new drug applications, which means much of the agency’s deliberations are conducted in secret. The FDA does not conduct its own testing of genetically engineered animals: It relies on information provided by the company seeking approval. In the FDA’s view, the refashioned DNA that is in every cell of the fish’s body is considered a drug, which is what the agency is regulating. Genetic drift lessons from Jurassic Park? The GE fish were created at a facility on Canada’s Prince Edward Island. Eggs are shipped to Panama where they reach adulthood in inland tanks with multiple barriers to escape. Farmed salmon, by contrast, are raised in the ocean in offshore pens. This creates a crowded, unnatural situation that is proven to promote disease and generate parasites that can devastate wild salmon swimming in the area. Inland tanks are considered much less hazardous than ocean pens. Even critics admit that inland tanks represent a huge improvement in ocean stewardship. AquaBounty says it will sell their GE salmon only to farmers who will raise them in enclosed inland tanks. Environmentalists anticipate that over time, however, some salmon farmers may make use of cheaper, offshore pens since no one is policing them. Critics point to previous GE mishaps. In the late 1990s, for example, the GE corn StarLink™ was approved only for non-food uses since it contained a potentially allergenic protein. But whoops — traces of it started turning up in the food supply, including in Taco Bell® taco shells. The public comment period for GE salmon is open until February 25, 2013. You can submit comments at www.regulations.gov. Make it clear that your comments refer to Docket No. FDA–2011–N–0899. AquaBounty said that if the approval came early this year, some salmon could reach American dinner plates by the end of the year. But quantities would be limited by the small capacity in Panama. The AquaBounty fish will be processed in Panama, and salmon fillets and steaks will then be transported to the U.S.
AquaBounty hopes to sell eggs to other fish farms that would grow larger quantities of salmon, but that is likely to take a few more years.